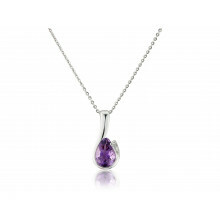 A White Gold Pendant Necklace with a 5mm Amethyst held by a six claw setting and strung on a fine chain. 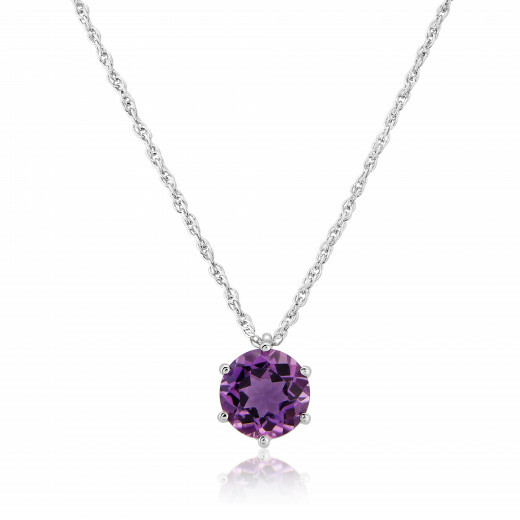 A beautifully understated piece with a bright violet colour and a highly polished finish. 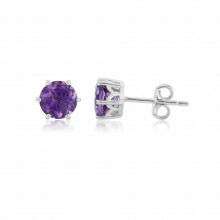 This purple coloured gem represents power and protection and is said to ease stress and anxiety. Amethyst is also the birthstone for February.